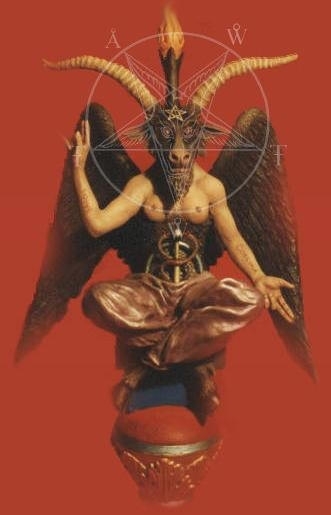 Tracy R Twyman and I decided to do a Part 2 of an audio interview on the magical and occult mysteries of Baphomet and its connection with John the Baptist, the Teraphim, the Judas goat archetype and much, much more. 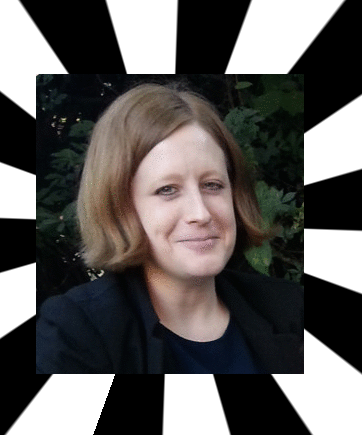 Tracy also relays one specific fascinating account on her personal communication with the goat demon Baphomet! Also be sure to check out her illuminating and mind-bending E-Book, The Judas Goat: The Substitution Theory of the Crucifixion. Click here to listen to the: Aeon Eye Tracy R Twyman Baphomet (Part 2) Interview. 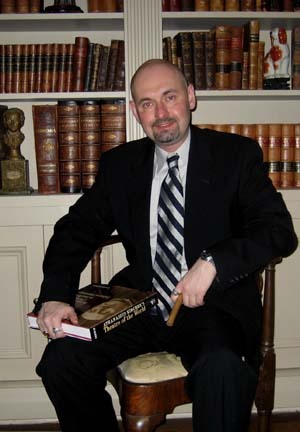 Robert Sullivan IV is a historian, antiquarian, theologian, researcher and attorney who also dedicates himself to researching all the intricacies of the occult and the esoteric in Freemasonic influence on modern society, politics and popular culture. What spurred my interest in his work was his interview with Miguel Conner on Aeon Byte Gnostic Radio, especially with his take on The Ninth Gate, a film I plan on analyzing in a future post. You can find his work here. On to the interview! A: “The Royal Arch of Enoch” presents a historical anomaly never before analyzed by any historians or Masonic researchers. 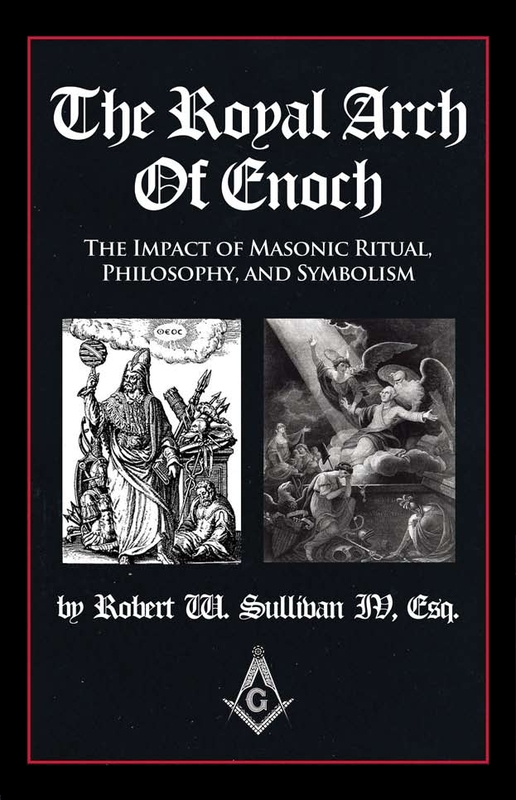 My book documents that a high degree Masonic Ritual as developed in France in the mid-1700’s was incorporating elements of the Book of Enoch (I Enoch) which was unknown to the West until 1821 when it was finally translated into English. 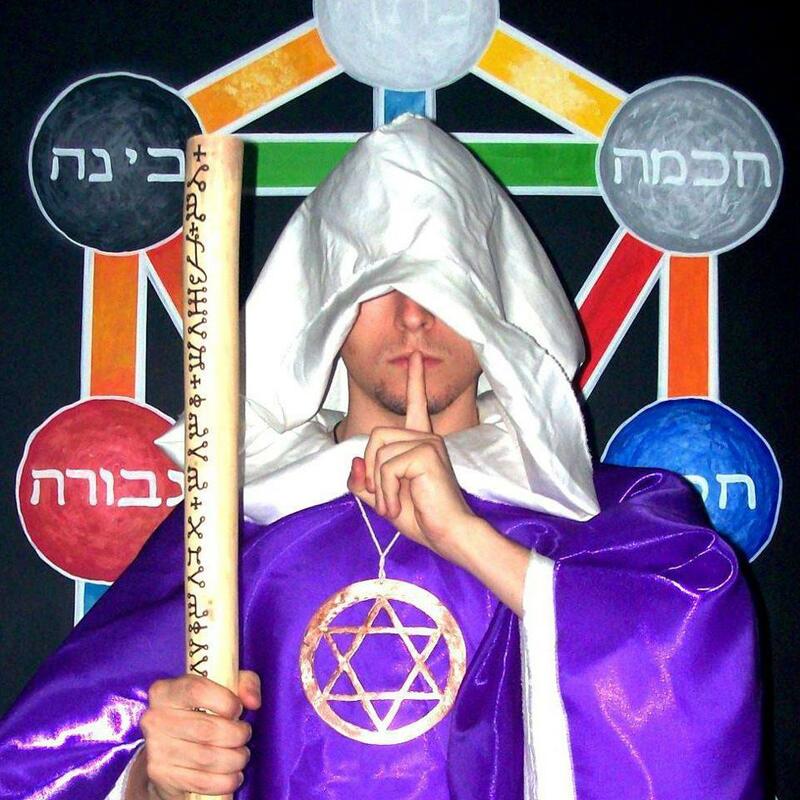 It is this high degree ritual – known as “The Royal Arch of Enoch” – and its related philosophies and symbology that has helped define the United States of America. 2. How does the Book of Enoch and other Jewish apocrypha influence Freemasonry philosophy and ritual? A: With regard to I Enoch, it has to do with both the correct pronunciation of the Tetragrammaton and the restoration of wisdom inscribed on the Pillars of Enoch. 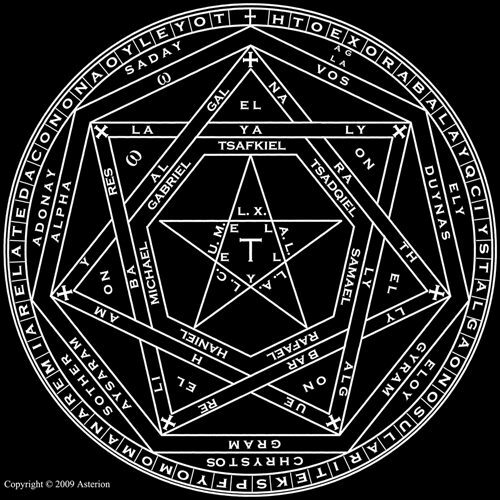 Within Masonic Lore, only through the correct pronunciation of the name of God is the seven liberal arts and mathematics restored. This knowledge is gleaned by Enoch via his interactions with Arch-Angels and Demons as described in I Enoch. 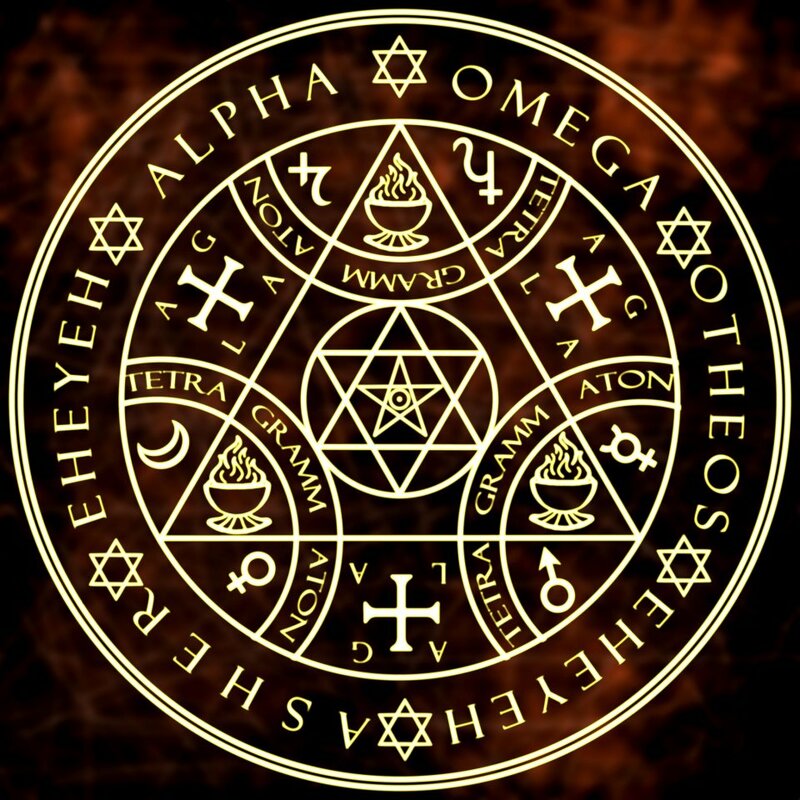 In the Testament of Solomon the wise King interacts with “Enochian” demons as described in Ars Goetia; naturally it is the construction of Solomon’s Temple that is the focal point of the third degree Masonic ritual. 3. You claim that the Bible itself is more of a coded compendium of books that detail astrological or astro-theological ideas and symbolism for the initiate to recognize and I would agree with this. There are other authors, like Neville Goddard or purpose a more holistic/psychological approach to reading the biblical cannon. What are your thoughts on this? A: Yes, in “The Royal Arch of Enoch” I present evidence that the Bible – both Old and New Testament – is an astrological metaphor; it is clear to this Masonic author that the Bible is an astrological manual. 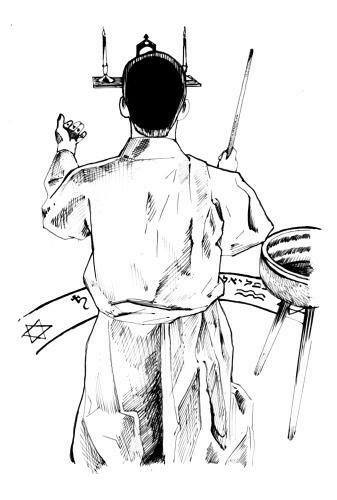 The Bible documents four ages based on the Precession of the Equinoxes: the Age of Taurus, the Age of Aries which in the Old Testament is Judaism – Moses is often depicted with ram horns symbolizing Aries. The New Testament is Christianity which is the worship of Pisces the Fishes – Christ as the “Sun of God” the fisherman – and the new age of Aquarius. Although I have heard of him, I am not familiar enough with the works of Neville Goddard enough to offer comment. 4. Is it possible to trace any specific Gnostic influence on Freemasonry and Freemasonic ideas? 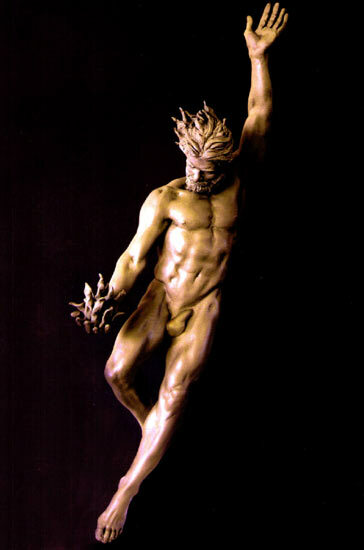 And can the Architect of Freemasonry be compared to the Platonic/Gnostic idea of the Demiurge or the World-Craftsman? 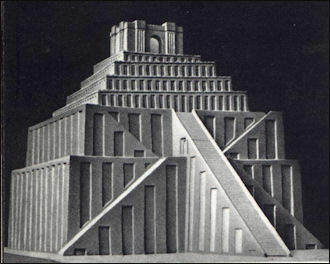 The concept of the “Great Architect” parallels the demiurge EXCEPT that within Masonry the Supreme Being would be a positive, not negative influence. Like Gnosticism, Masonry has its own dying yet resurrected sun man which is Hiram Abif. In Gnostic-Christianity (and Christianity in general) it is of course Jesus (cf. Horus, Mithras, Attis, etc) the dying yet resurrected solar messiah. 5. What are your personal favorite texts from the Bible and the Nag Hammadi Library? 6. There are a few other researchers out there that propose modern money to be akin to alchemy and magic. What are some peculiar elements of symbolism tied with our money/cash system? And does this have anything to do with the popular notion or idea of the Law of Attraction? A: The United States monetary system was designed – in part – by the Federalists Party namely Alexander Hamilton based on occult notions regarding credit and debt. There are elements of alchemy in the Federalist philosophy because, in sum, one is creating wealth out of seemingly nothingness. To the alchemist this would be the transmutation of base metal into gold or ignorance into wisdom. To the conspiracist this is best emblematized by the placing of the Great Seal of United States on the back of the one dollar bill as a Masonic control mechanism. However, the backing of paper green money with gold – our current system – is more occult than alchemical as the United States gold supply is “hidden” in Ft. Knox. Whether it is really there I leave to the reader to decide. 7. I would love to hear your thoughts on the subliminal symbolism going on in the film The Ninth Gate with Johnny Depp. There is also the theory that Johnny Depp’s character, Dean Corso, represents a Gnostic aspirant or initiate or possibly Lucifer himself, who is simply has forgotten his identity as the Light-Bringer in the course of the film but achieves self-knowledge when he enters into the portal of the Cathar Church. What are your thoughts on all of this? A: There is a lot going on in that film and I present an analysis of it in “The Royal Arch of Enoch”. I discuss more of its symbolism in my forthcoming book titled “Cinema Symbolism”. 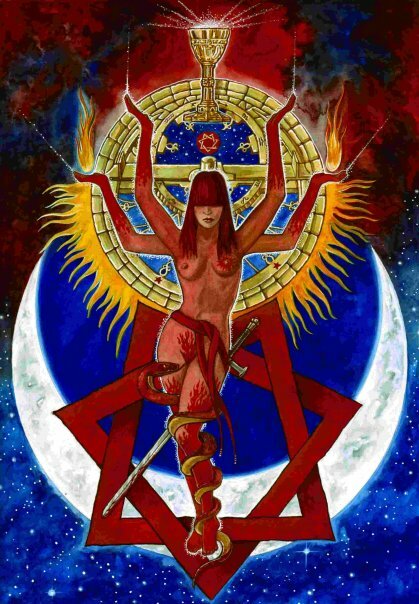 Clearly one will see elements of the Gnosticism with the character of Liana St. Martin-Telfer; her first name reflects the goddess Lilith as “Liana” Hermes Trismegistus incarnates as the Ceneza twin: Hermes is of course Mercury which rules the sign of Gemini the Twins as such the “Twins” are the restorers of lost wisdom. Boris Balken loosely reflects English magician Aleister Crowley while the composer of “The Ninth Gate” Aristide Torchia parallels Giordano Bruno who was likewise burned at the stake. 8. Do you think Freemasonry along with the Illuminati have been unfairly maligned by Christian Fundamentalists, the populace in general and the media? A: Yes and No. Christian Fundamentalist, while trying to damage Freemasonry, have actually helped. More and more men joining the Masonic Temple are doing so out of a desire to understand the occult and esoterica. These are themes that Freemasonry – for so many years – tried to distance itself from. I am glad to report that Freemasonry is once again embracing the esoterica and the occult. 9. This also ties into the previous question. Why do you think many heretical and occult groups throughout the ages, starting with the Gnostics, Manicheans, Mandeans, Hypatia of Alexandria through the Cathars, the Albigensians, the witch burnings in Europe etc to people like Giordano Bruno, Joan of Arc, etc, have all suffered persecution from the bloodied hands of the Roman Catholic Church and to a lesser extent, Eastern Orthodoxy? A: Because they possessed occult wisdom and knowledge that was a threat to the orthodoxy. 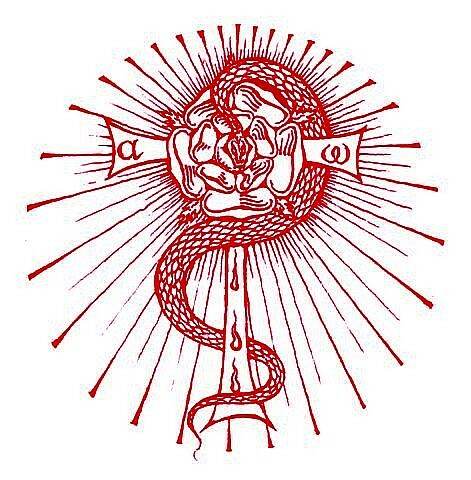 I suggest in my book that this is the entire purpose of secret societies and modern day Freemasonry is the preservation of the Ancient Mysteries handed down through the Gnostics, the Cathers, the Rosicrucians, the Illuminati, the Jesuits, to what one would call Freemasonry. 10. What influence does Maximilien de Robespierre (the French lawyer and politician during the French Revolution) command on your work and the mythicist movement in general? A: Robespierre (not a Mason) is important to me because he was willing to lay his beliefs on the line irregardless of the consequences. He was a true martyr of the French Revolution who died rather than wavering from his principles and belief system. Robespierre fostered the “Cult of the Supreme Being” and the “Worship of Reason” which can clearly be seen in both Blue Lodge and High Degree Masonry. 11. How does King David and his son, the great wise and wealthy King Solomon figure into your research? Are they actual historical figures or symbolic ones? A: Yes – it is from the construction of Solomon’s Temple that Masonic Ritual is based. As I present in “The Royal Arch of Enoch” there are astro-theological ties to the name Solomon”. To bifurcate the name is “Sol” and “omon” or “Sol” and “moon” – the sun and moon as the lesser lights of the craft. Alternatively “Sol” and “omon” can be “Sol” and “mono” or the “One Sun” as the sun is the most important symbol within Freemasonry. 12. 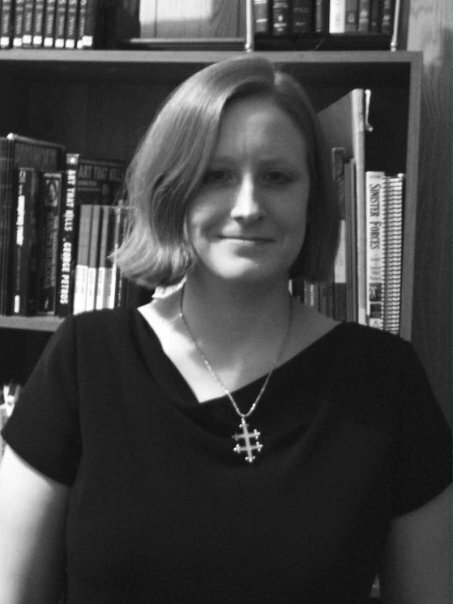 How does being an attorney influence your work on Freemasonry, occult symbolism and spirituality in general? Or maybe it’s the other way around? A: It’s both and it’s a great question. When writing about Masonry I like to present a hypothesis and then lay out the arguments supporting it while dispelling the arguments against it. This comes straight out of my legal training. Alternatively, the legal profession in the United States is overloaded with Freemasonry and occultism. If one has been to law school in the United States one eventually took a course called “Evidence” which lays out the evidentiary system in America. The rules of “evidence” are based upon the works and analysis of Simon Greenleaf (1783-1853) who was a Freemason and occultist. Greenleaf was the founder of Harvard Law School who compared the American lawyer or attorney to a “New World” Druidic Arch-Priest in numerous treatises. The American legal system reflects occult and Masonic sorcery: 12 jurors in the box are the 12 houses of the Zodiac, the judge wears the black robes of Saturn (as a Father-God presiding figure), the “court” is an astrological “Star Chamber”, etc. 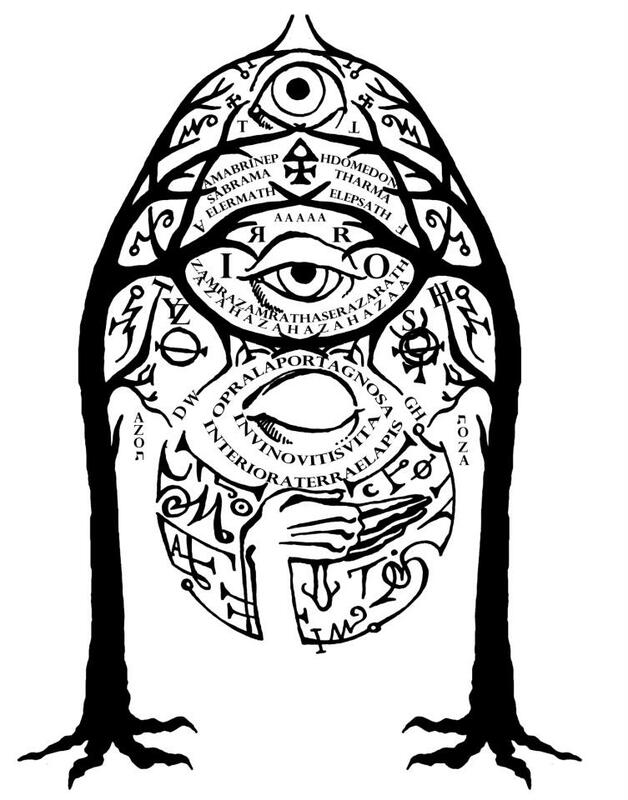 Recently, I stumbled onto a fairly fascinating and insightful blog dealing with Gnosticism and related subjects that delve right in to the mind-shattering philosophy that is Abyssophy. So naturally, I wanted to pick the author’s brain for even further insights and revelations that I and any others out there could glean from. If you can appreciate the Gothic ascetic, mind-expanding insights into the Stygian depths of the unknown, then please lend Abyssophy your ears or your gaze, long enough for the Abyss to stare right back at you like gazing into a mirrored reflection, paraphrasing what Nietzsche’s famous axiom. How would you define your philosophy and subject of your blog—Abyssophy? Abyssophy is about the desire to understand and apprehend the Abyss. The Abyss is a common element in many religious and initiatory systems, representing, in most of them, the divide between the utmost Divine and its lower emanations. By ‘the utmost Divine’ I mean that ineffable Source of all existence, ‘the One’ or ‘Monad’ of the neo-Platonists, rather than the everyday, mundane understanding of ‘God’, which has become a culturally weighted term. And by ‘lower emanations’ I refer to those things that we generally call gods, archons, aeons, angels and demons as well as human beings and of course the material Cosmos and all that is terrible and beautiful within it. All of these emanated from the One. Being ineffable, the One is unknowable and unperceivable. It is only through an apprehension of its ‘lower emanations’ that we can perceive its existence at all. The gulf between that ineffable aspect of its fullness or Pleroma and us is the Abyss, which represents the furthest reaches that the human psyche can perceive. It is the liminal area between the manifest universe that is subject to causal laws and the immaterial or ‘acausal’ universe that, like Chaos, is subject to no such laws. Being a liminal phenomenon, it is like twilight, Bïfrost or the mythical crossroads associated with deities such as Hermes and Exu; it is the realm of interaction and exchange between two very different forces – us and the Gods. 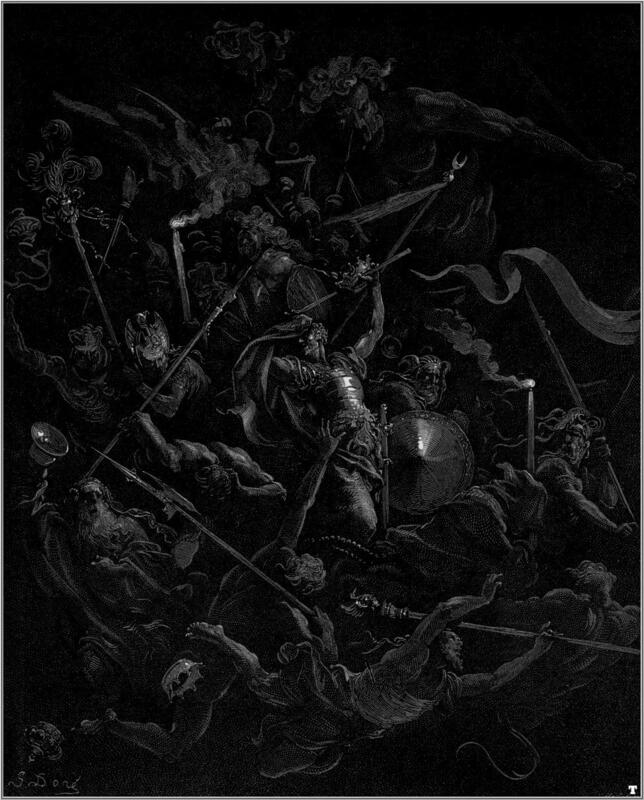 It is akin to the Underworld in its lower, chthonic regions such as Hel, Annwn and Hades, yet is also equitable to more sublime understandings of the realms of the sub-divine, such as Olympus or Asgarð, which represent the higher regions of the Abyss. It is also the realm from which Forms or archetypes seep into our individual and collective unconsciousness, which are then expressed outwardly into the causal realm via the ‘portal’ of the psyche. How does Abyssophy relate to Gnosticism? Largely in the way that it focuses on spirituality being the result of a deeper, personal, intuitive intimation from the base of the soul, rather than something derived from a mechanical belief system that one has invested little deep thought into. As far as the beliefs of specific Gnostic sects go, I wouldn’t say that it has much in common with them (except maybe the Valentinians at a push), other than it being a tool of refutation and rebellion against dogmatism and literalism. 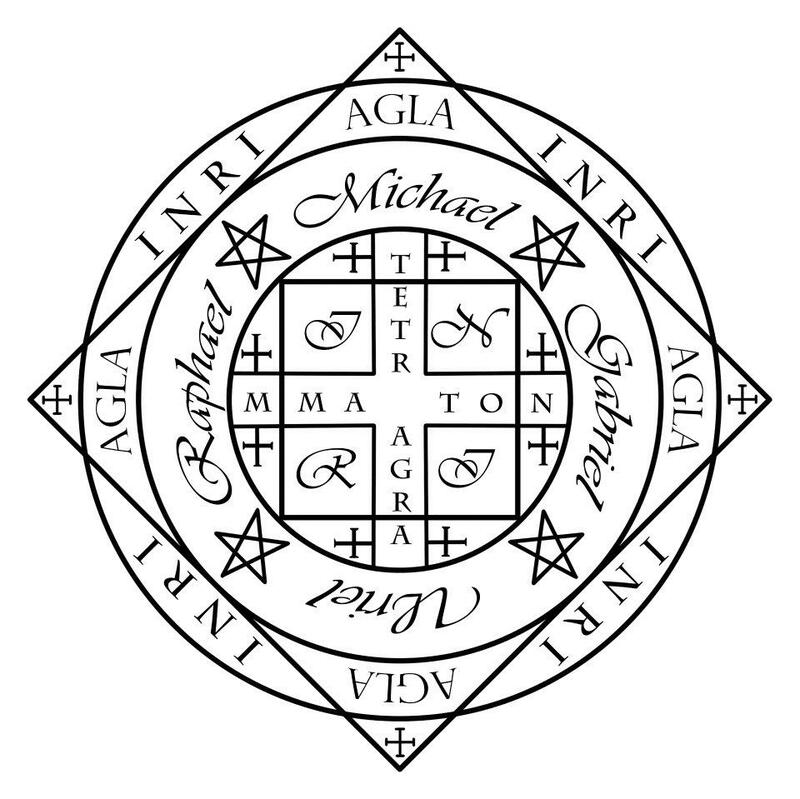 Would you consider yourself a Gnostic or something else, such as a Jungian, Luciferian, Satanist or none of the above? None of those things specifically, but all of them in general! There are aspects of each of those forms in my beliefs and expressions, but I don’t overly identify with any of them. Perhaps ‘Abyssophist’ would be a good term. But in lieu of unleashing yet another neologism upon the world I would say that I was an Alchemist in pursuit of the Philosopher’s Stone who is willing to walk any relevant path to attain it. 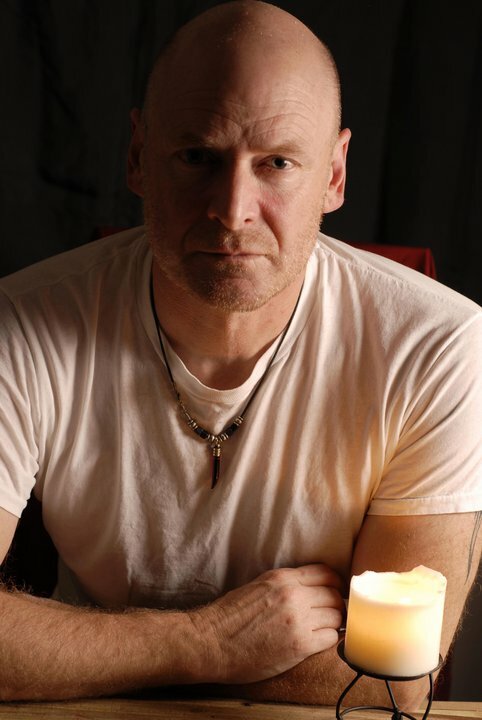 My own psychological and psychic make-up means that I prefer to walk that path in the shadows of Night, because I perceive that the truths found in the darkness of the unknown, the unconscious and the Abyss are greater and deeper. Would you consider yourself a dualist, a pantheist, panentheist, etc. or none of the above? I would say I was a panentheist. I believe that everything derives from the Monad, including that which is perceived to be evil. That which represents darkness, destruction and death in the Cosmos is not derived from an opponent of the Divine, as per Dualist religions, but from the Shadow of the Divine. Belief systems that push the fallacious idea of a purely good, ‘personal’ God have to separate their benevolent concept of God by assigning that aspect of its being to an adversary. Of course, that then means that God cannot be both all good and all powerful, which is why there is no truly satisfactory answer to the problem of evil in Judeo-Christian theology. Ultimately, in my eyes, there is no problem of evil at all, just the problem of bad theology. Panentheism resonates best with me because in that system of thought everything is of God rather than actually being God like in pantheism, which is actually fairly close to a kind of spiritual materialism. I prefer panentheism because I believe everything has varying portions of Divinity in it, but that the Divine itself is still above and separate from those emanations. In contrast, pantheism takes an almost atheistic approach, with nature and the universe being seen as God rather than emanations of God. To me, this is almost like praising paintings in an art gallery while denying that there were artists expressing the processes of genius behind them. Are there certain Gnostic texts of the Nag Hammadi or even any of the biblical texts (both in the Old and New Testaments) that resonate with you? I like ‘On the Origin of the World’ from the Nag Hammadi as I enjoy Cosmogonist myths of all persuasions whether I actually agree with their specifics or not. For that reason, I’d say I enjoy the Book of Genesis as well, though my sympathies are ultimately with Eve and the Serpent. The Thunder, Perfect Mind is an inspirational piece from Nag Hammadi too. For one interested in the alchemical processes of merging opposites and the Gnostic concept of the Bridal Chamber, it is an interesting piece to meditate on. 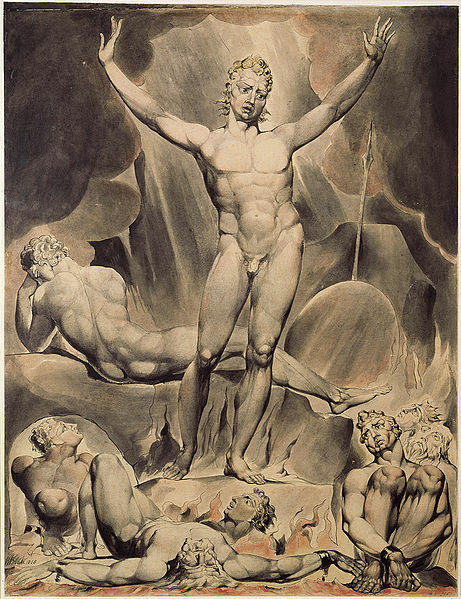 In the bible, I enjoy the Book of Job as I believe it provides a good allegory of the Dark Gods being subjects of rather than opponents of the Monad. The Gospel of John is an inspirational and beautiful piece of mystery, far deeper than most Christians probably realize, and the Book of Revelations is aesthetically pleasing too with its coded messages and cryptic symbolism. 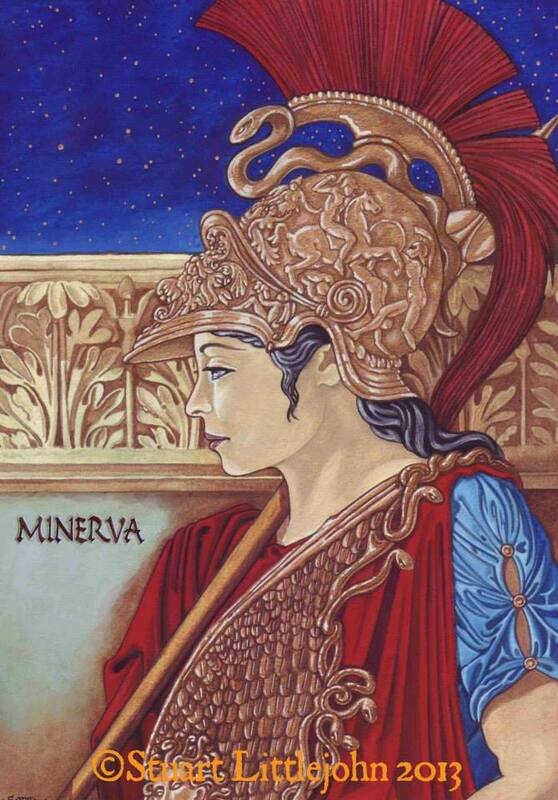 What do you think of the Yezidi’s since they worship a Luciferian figure by the name of Melek Taus, the Peacock Angel? I find a certain amount of resonance with the ideas of the Yezidis. Firstly, I think their tribal culture is worthy of respect, and that their maintenance of ancient tradition is exemplary and something that we in the West should strive to emulate. Additionally, I think that their belief in a distant Divinity above the seven ruling angels shows some similarity to the ideas of Emanationism and ruling archons found in the principles of Gnosticism and Neo-Platonism espoused on Abyssophy. Because of things like this, I naturally find some points of resonance in their religious traditions. Melek Taus, like Satan in the Book of Job, can be seen as a servant of the Divine rather than some simplistic evil being who acts as a thorn in the side of creation. Both concepts – for our understandings of the gods are amorphous, shape-changing concepts at heart – provide a similar explanation to my own as to how lower emanations of the Monad exercise an acausal ‘Divine’ will by the very nature of their beings. This will then influences man in ways that can be good or bad, numinous or sinister, depending on the context of their contact and how you respond to them. Such acausal beings, therefore, are not good or evil, as monotheists would contend, but, like Melek Taus in Yezidi belief, bestow blessings or curses as per their whim. 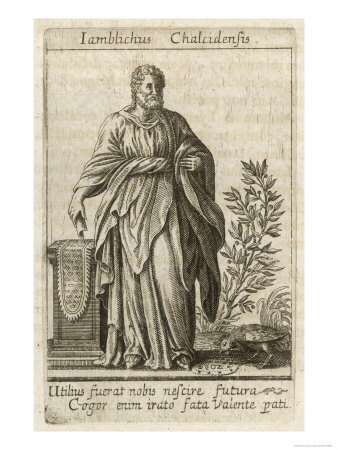 This can take the form of positive, numinous inspiration or ‘blessings’, or, as seen in the example of Job’s interactions with a similar being in a parallel tradition, they can administer a sinister and negative ‘curse’ that ultimately leads to greater spiritual evolution to the initiate. It’s for reasons like this that darkness, though difficult to bear, should be embraced. What’s your opinion on Aleister Crowley and his mystical religion of Thelema and how do you think he relates to Gnosticicsm, Luciferianism and Abyssophy? I’m not a detractor of Crowley but I’m not an enormous fan either. 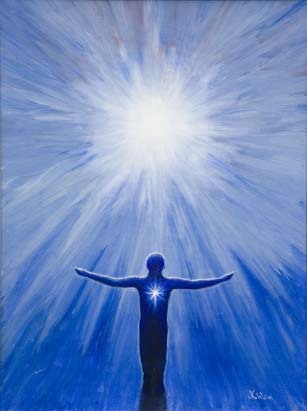 Like many of the Magi who carried a message of some form from the acausal, his psyche was unable to bear its burden. Hence, because he misinterpreted his own message of ‘Do what thou wilt shall be the whole of the Law,’ he ultimately became a pervert and a drug addict unable to control even his most base and self-destructive instincts. Saying that, his mind, skill, talents and vision were extraordinary and inspiring, and this is where his Luciferian tendency shines. But without the consistency of actual being to back that up, he remains a marginally useful character to me. 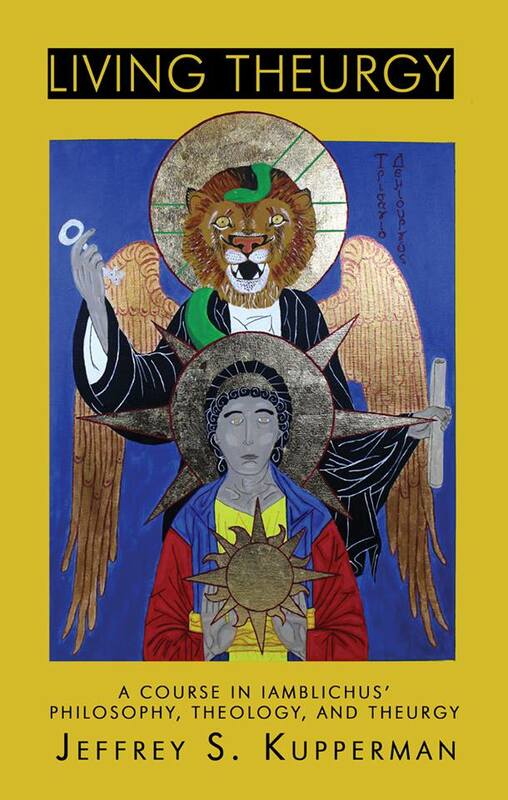 His relationship to Gnosticism in the modern age might be distorted due to his creation of the ‘Gnostic Mass’, which was based more on the ideas that the primitive Christian detractors of Gnosticism had about the Gnostics rather than the actual practices of the Gnostics themselves. However, as far as ‘Gnosis’ as a process goes, I’m sure Crowley was following his own ‘vision and voice’ even if his appetites often got in the way of them. 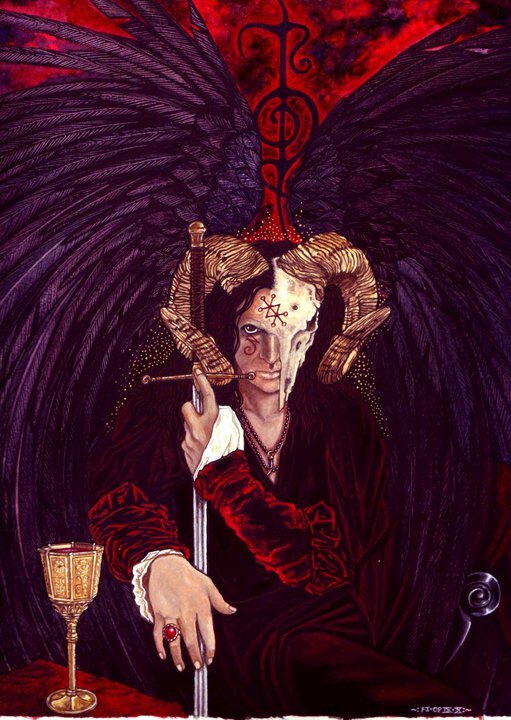 Despite those negative thoughts, as far as an apprehension of the Abyss (as per the aims of Abyssophy) goes, I believe that Crowley was a vital figure in shaping our understanding of such things. 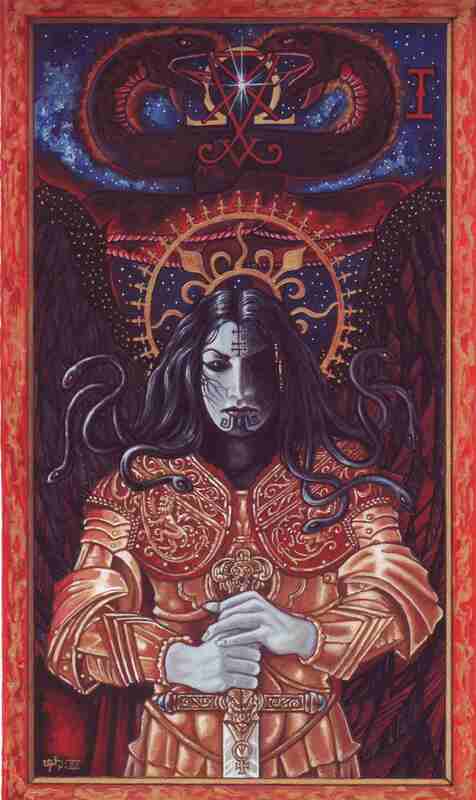 His own Abyssal experiences in the desert led to an acausal apprehension that he vocalized as Aiwass, and then conceptualized as the Book of the Law which proved to be both the pinnacle of his Initiatory career and the foundation of a huge body of subsequent Initiatory understanding. In this respect there would probably be no Abyssophy without Crowley. What is the difference between Luciferianism and Satanism? 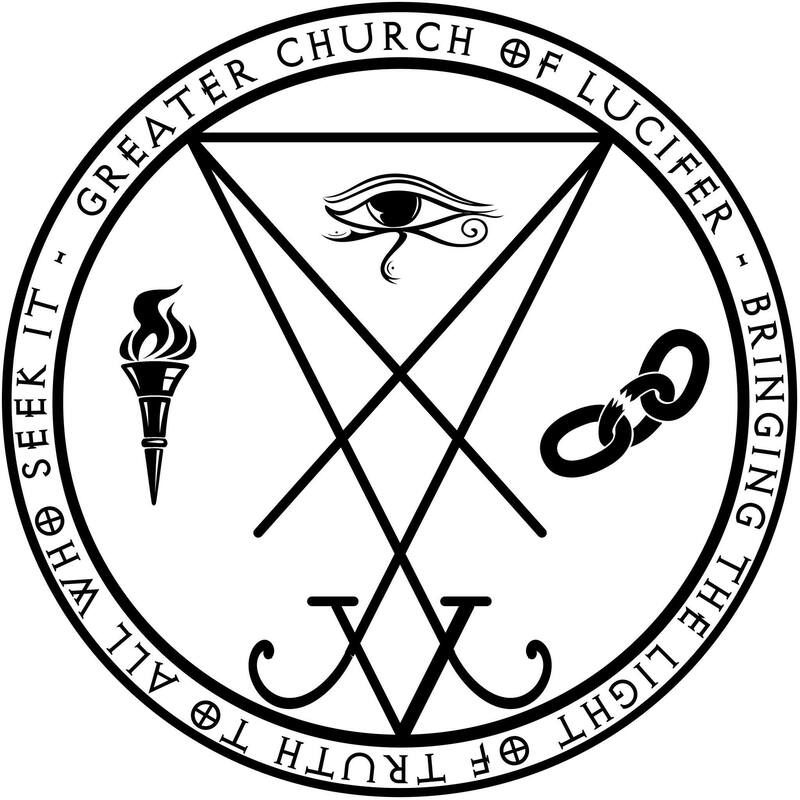 Generally, it is that Luciferianism is a promethean, intellectual path of Gnosis and enlightenment while Satanism is a physis-based path of actualization and life-affirmation. What they both have in common is an aspect of rebellion and self-empowerment. Really, the differences are fairly academic, as they are similar in essence but represent the particular differences found between specific personality types. This goes along with the previous question—do you think Lucifer and Satan are the same entity? That’s a huge question. Our ideas of the Dark Gods are conceptualizations rather than facts, so I don’t think there can be a definitive answer. 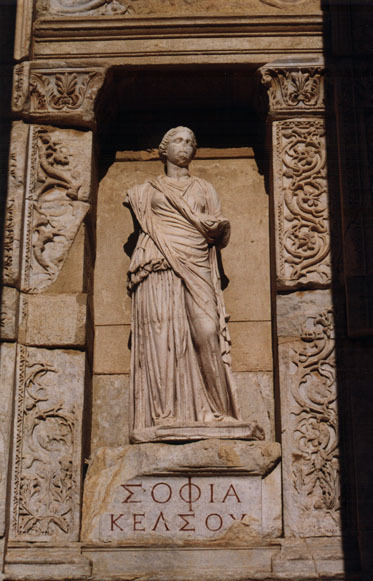 Throughout history, cultures have perceived the presence of the Gods and then named them and fleshed them out according to what they understood of them with their limited faculties. 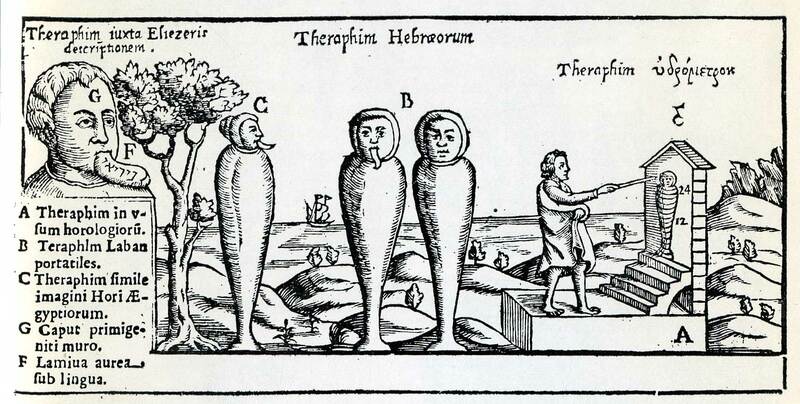 Largely, this anthropomorphosis was a gross, if noble, simplification of those forces. I see the ‘Dark Gods’ as a collective of those Gods who represent the Emanated Shadow of the Monad – a spectrum, if you will, of that darkness. ‘Satan’ is a collective name that represents a part of that spectrum of Gods – its fiery aspect, according to tradition – while ‘Lucifer’ represents another part of that spectrum – its ‘airy’ aspect. Their respective spectra overlap to a large extent, just as air feeds fire while its flames in turn lick back at it, which can lead to a perception that they are in fact the same beings. But they are not; they are overlapping collectives that have various emanations in common. In essence, both of their names are arbitrary and do not equate to individual beings -they are ultimately conglomerates of emanations united in common character. This is probably why I don’t identify with the title ‘Satanist’ or ‘Luciferian’, but rather see myself as a seeker of Gnosis of the pantheon of Dark Gods in their wholeness. Would you consider the “Dark Gods” to be similar to the Gnostic/Pauline concept of the “archons” or the “authorities of darkness” of Ephesians 6:12? I can certainly equate the Dark Gods to those ‘principalities and powers’, yes. 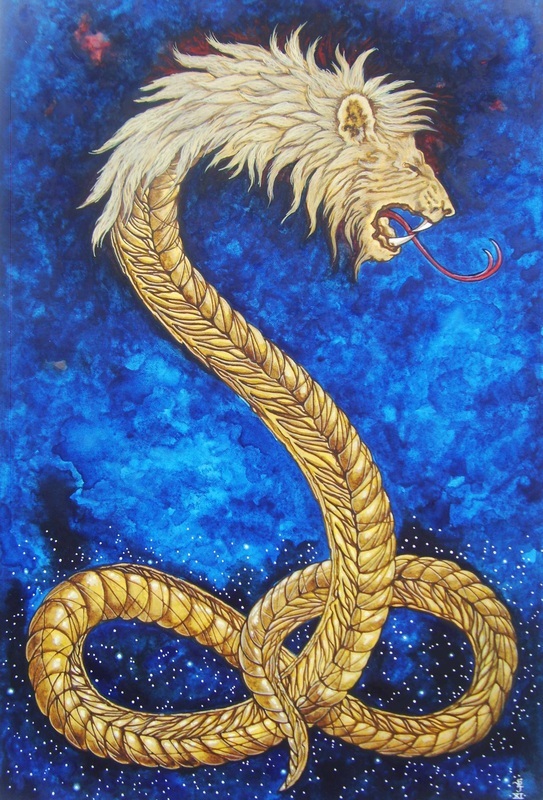 The Gnostic archons represent quite a close approximation of how I see Gods in general, but moreso those with mechanical, nature-based, demiurgic qualities. 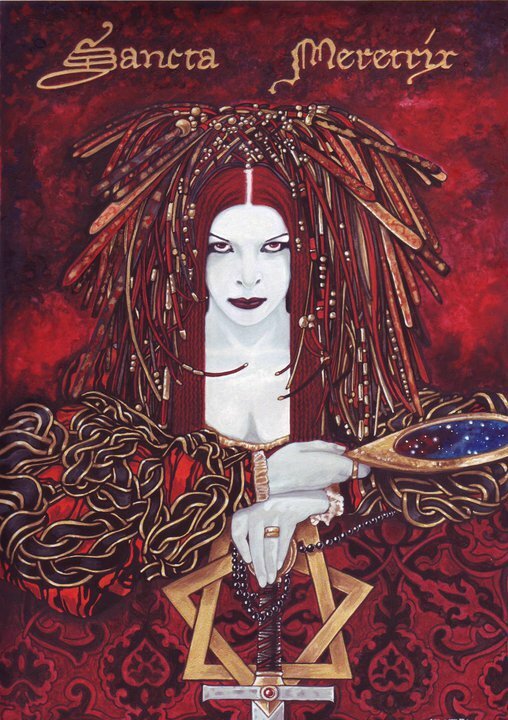 My perception of what I call the ‘Dark Gods’ is that they are generally closer to processes of numinosity and Spirit, though there might of course be conceptual and functional overlaps between them and others. The bipartite qualities represented in the character of Odhinn, who was both Priest and King, might be a good example of that kind of ‘divine overlap’. St. Paul obviously grasps the concept, but his point of view about such things is naturally entirely different to my own. Prior to his warning about these ‘authorities of darkness’, he had just urged slaves to obey their masters with ‘respect and fear, and with sincerity of heart’. To those who seek to emulate and apprehend the Dark Gods, the encouragement of such weakness and subservience is seen as despicable. The correct thing for them to do would be to rise up and smite their masters, as their true will would inevitably lead them to desire freedom and vengeance. What are your thoughts on metaphysical determinism, or fate? Do you believe events are predestined? Not necessarily in a theological sense, but predetermined through causality or eternalism. Is free will real or imagined? I don’t believe in predestination in any form, but I don’t entirely believe in free-will either. We have a degree of free-will available to us in the situations that genes, ancestry, culture, history and circumstances put us in, but our solidified egos are highly likely to make mechanical, subconscious decisions under the pretense of free will. That said, if we can expand our egos a little – through the process of Initiation, for instance – we might find that the options of free-will available to us suddenly begin to expand. Although I don’t believe in the concept of destiny I do believe strongly in the concepts of wyrd and synchronicity. Wyrd is a Germanic concept that is akin to a personal destiny, but not in any predetermined, unavoidable sense. It exists more in the sense of a person fulfilling the potential purpose and desires of their spirit rather than an external, ‘event based’ destiny. What is interesting about the concept of wyrd is the idea that our fate is something that is alterable through will, which makes us masters of our own destinies through our actions in life. Closely linked to this idea is synchronicity, which Jung called ‘an acausal connecting principle’, meaning a principle by which events occur without the natural, causal events that one would usually expect to observe in the ’cause and effect’ relationship that is empirically observable in the material Cosmos. Put more simply, synchronicity occurs when events in the world around oneself mirror the events of the inner world in patterns of meaningful coincidence. Through the art of Sorcery, one can actually extend one’s will outward into the world with such force and intent that synchronicity begins to fall into line with that will. How does Gnosis affect your own personal pursuits such as music, writing, art, magic praxis, blogging, etc and even your own personal outlook on everyday life in general? If Gnosis can be said to be my attempting to gain an apprehension of the acausal entities and phenomena of the Abyss, and by extension both the Divine beyond them and my own Self beneath them, then it is indeed the unifying factor that underpins all of those things. The root awareness behind all of those things you mentioned are the expressions of the acausal through the psyche into the causal realm or ‘world’. Together they are a unification that cannot be separated once their unity has been realized. Hence, my expressions, be they creative, intellectual, magical or related to everyday thought, processes and interactions are all unified by the singular awareness of apprehending the denizens of the Abyss.